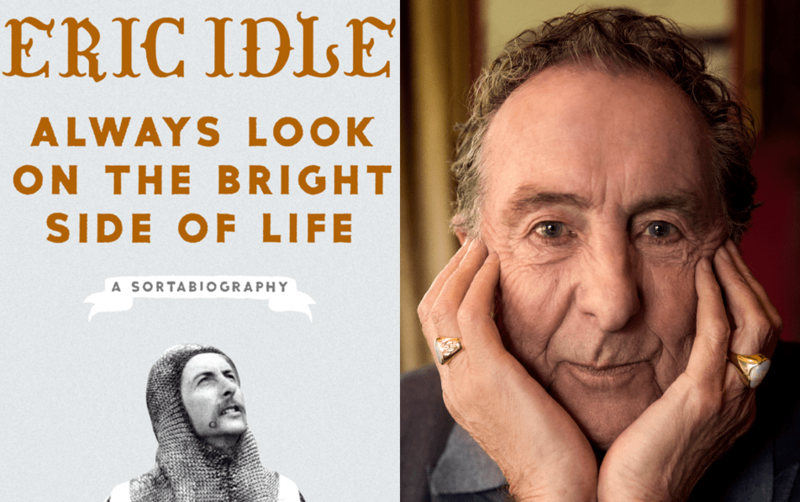 ALWAYS LOOK ON THE BRIGHT SIDE OF LIFE: A SORTABIOGRAPHY by Eric Idle. Published October 2, 2018 by Crown Archetype. As an avid reader and reviewer a book sometimes comes along that surprises me. Such is the case with Eric Idle’s Always Look on the Bright Side of Life. I opened this book expecting it to be loaded with all sorts of bawdy humor and absolute hilarity. What I got is a story of a life truly lived, by a very humble man, who is truly grateful for everything, and everybody, that this life has given him. Idle covers it all, from his not so good childhood, through the years of Monty Python’s Flying Circus, to the present day as he quickly approaches his eightieth trip around the sun. And what a ride it has been! His sortabiography is a very fast and very enjoyable read. The reader quickly realizes how astonished he seems to be at it all, given his humble beginnings. He was shifted off to boarding school at an early age. He managed to catch some lucky breaks as he pursued his comedic dream and, after all this years, he still wonders at just how lucky he’s been. Yes, the book is full of humor. It’s also full of details, and Idle gives readers a fabulous look into how he is constantly honing his craft. Stories of the inner workings of Monty Python’s Flying Circus abound, along with lots of fascinating information about how he and the other Pythons came up with the ideas that led to Monty Python and the Holy Grail, Monty Python’s Life of Brian, and Spamalot, the highly acclaimed Broadway musical. He also tells the stories of Monty Python’s live performances, and his two man tour with fellow Python alumnus John Cleese. Idle shows himself quite early in the book as a man who truly loves and respects his friends, and that love and respect is illustrated by the lines and chapters devoted to the deaths of three of his best friends (Graham Chapman, George Harrison, and Robin Williams). As he writes about these three men, readers can feel the grief and the sense of loss that he still feels. These are the most poignant parts of the book. In the end, as he is gaining a sense of his own mortality, Idle knows just how precious life is. Being one of the great wordsmiths of his time, he makes the final chapter of Always Look on the Bright Side of Life, on its own, worth reading. There’s a lot for a person to think about in those last few pages. Idle is also amazed how the song, from which the title of this book is taken, has come to mean so much to so many people. It’s the number one funeral song in the UK. It’s being sung by disappointed soccer players and their fans, and by military personnel going into battle. He’s personally performed it at the memorials of his previously mentioned friends. If you’re a fan of Monty Python’s Flying Circus, or if you simply like reading a good sortabiography, pick up a copy of this book. You’ll laugh and you’ll cry, and you’ll come out of it with a smile on your face.